can easily lose sight of what really matters in life. Please take a second to watch this . Even if you are unable to donate anything just take a minute to let this man's story rest in your heart and please just pray for him and many other people like him. This man needs a place to live. I want to raise $10,000 to help this man a find a place to live and get him back on the right path. I am looking for a total of $20,000 but I will personally donate $10,000 from the Boyz II Men House to get us half way to that goal. I've been blessed beyond belief and blessings are made to be shared, so I'm hoping many of you no matter how small the donation, can try to help me reach this goal. I applaud you Nathan Morris for realizing that this is truly an epidemic that we have going on in America. You took the time to use your platform for a cause that so many others turned their head to: 11.00/hr is not a living wage and many who have never had to work for this type of wage do not realize the existence of minimal wages have caused more displaced persons and families in this country, many people are a paycheck away from this situation. 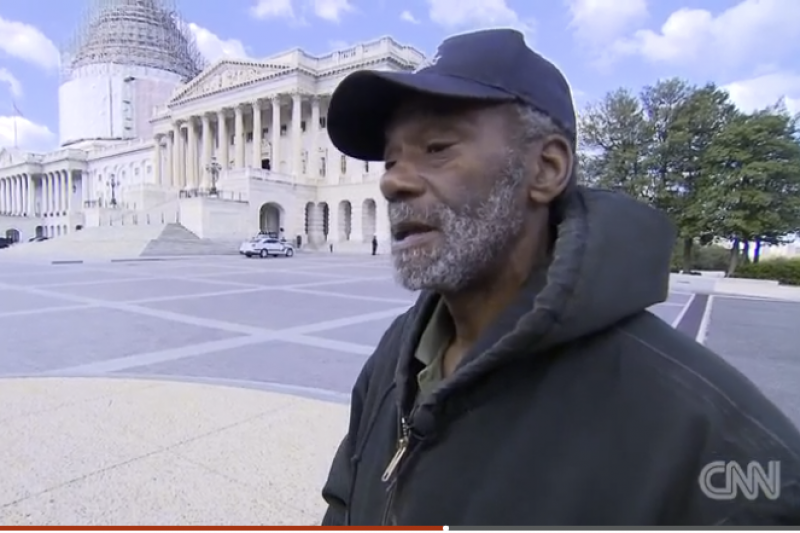 I pray Mr. Gladden is able to overcome his situation of homelessness but that is not the only issue a more pressing issue is the decline of his health that I pray for. This man is truly an example of no excuses when many of us with far less problems would make this the reason we would give up, he continues to press on and do what he has to . Thank you for being an example to many Mr. Gladden May God Bless you and your work that you are doing with your foundation Mr. Morris. I wish and pray for the best for this man. I only wish that i cojld afford to donate. I highly agree this is a great thing... me Being a recently divorced father and I have 5 kids I know how ruff it can be . Went from a stay at home dad to trying to get back in the work force. But having not had much work experience in the last 10 years and being a stay at home parent Is not easy. Also Messed my back And I have disk Intrusion at L5 pressing on the Thecal sac / nerves. Some days wonder How going to make it threw . But story's like this Let me know there is some people who still care. 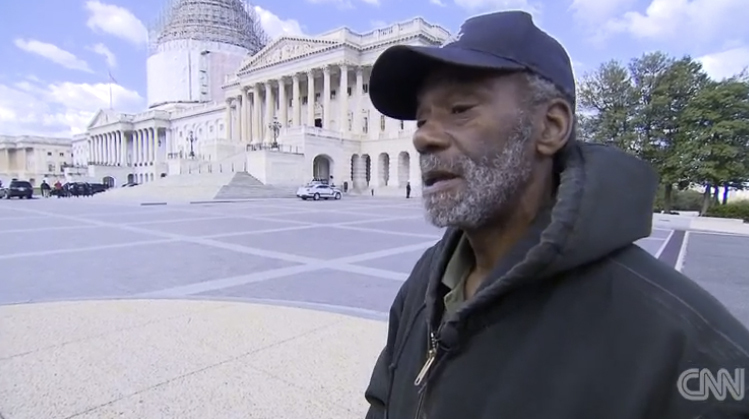 Gladden, 63, makes about $11 an hour, and takes home about $360 a week. But he said he gives a lot of it to his children and grandchildren, who have their own financial troubles. "I take care of them," he says, "I don't want to be a burden on my kids." I donated. But I think the root of his problems is not him or his finances but his children who are not being responsible adults(assumption is that they are adults.). . Nate - you did it - so proud to know you! !